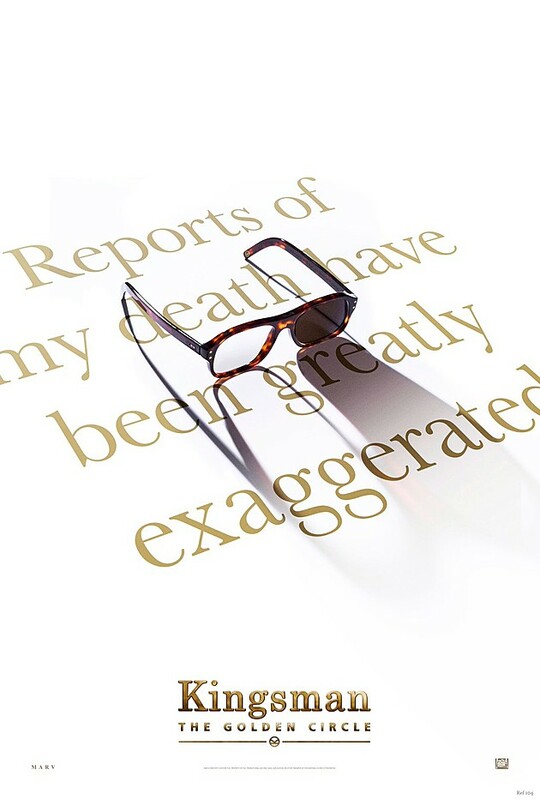 What could possibly make the sequel to ‘Kingsman: The Secret Service‘ any better than it’s own existence? Elton freaking John! Oh yeah, you better believe you just read that. The pianist, with more than just a little flair for fashion, is in talks to join the cast of ‘The Kingsman: The Golden Circle‘. Matthew Vaughn’s original flick was so crazy successful that a second one was a given, had to happen. The only drawback in my mind is that Colin Firth will no longer be a part of the production as the paramount in English fashion and defense. Or will he? We’re hearing rumblings that Firth may be coming back. Who knows how this will happen, but I am certain that the upcoming flick will more than supercede my expectations. Regardless of Firth’s involvement the project has cast star Taron Egerton, from the original, with Julianne Moore, Halle Berry and Pedro Pascal, along with returning actor Mark Strong. Sir Elton John broke the news about his involvement, but he stopped before giving up any details. Is he playing himself? Will he appear in the shop where fashion begins for the Kingsmen. No one knows, but wherever John takes us, it’ll be a colorfully splendid ride. This entry was posted on Tuesday, April 12th, 2016 at 3:17 pm	and is filed under Film, News. You can follow any responses to this entry through the RSS 2.0 feed. You can skip to the end and leave a response. Pinging is currently not allowed. « Record Store Day Will Feature 3 Amazing Soundtracks!! !